Back for more today. Starting again from DFL, I actually nudged my way up in the grid about ten spots before the whistle, and then blew the start and had to sprint down the entire field. So what’s new. Caught the tail end by the first turn, and I was just hunting all race long. Had a good motor today, but absolutely nothing like what I had yesterday. Definitely had to scrape the bottom of the well today at times. Just kept at it, passing guys where I knew I was strong, and dug right down when I knew I was in a weaker section for me. These guys have great engines, so when things flatten out, they come motoring. And if and when you pass one, you can never write them off. These guys are Cat 3s for a reason. All I can do is try to stay one step ahead by staying on it and riding a decent technical race. Final results today were 107/119, on top of yesterday’s 100/114. Honestly, being staged dead last each day – this was a breakthrough weekend for me. For the first time I’ve felt like I can race with this group. Without a doubt, looking forward to the next episode. 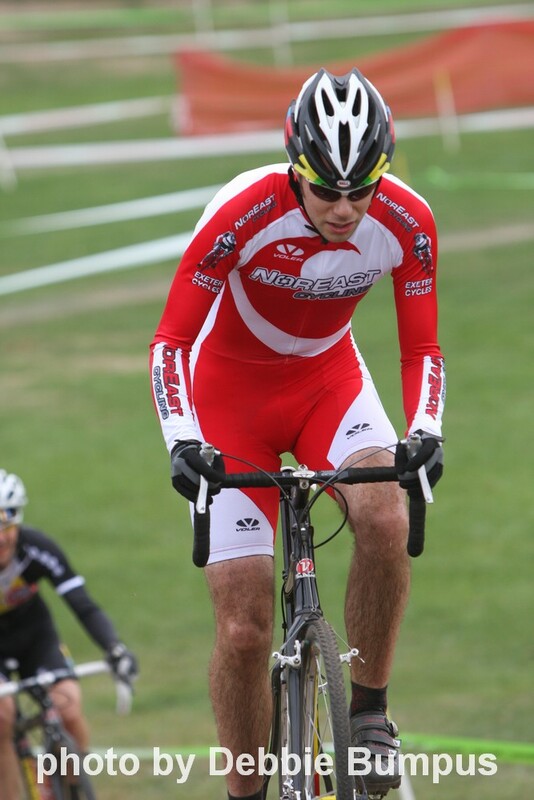 Thinking back to Quad Cross, I left that race feeling like I took a beating. After this weekend, I definitely feel like I’ve started to fight back.